Rewind time today and make yourself feel younger. 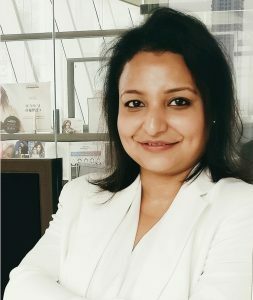 While age is just a number, it is an inescapable factor of time, and the result is sagging skin, wrinkles, and discolourations: the characteristic signs of skin ageing. It is important to understand that as we grow older it is of great significance to maintain our skin with all the care and nourishment it needs. 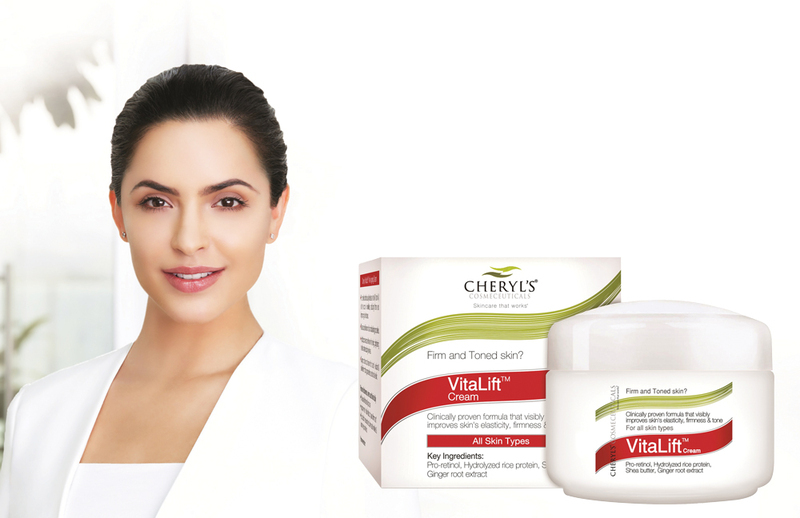 Keeping this in mind, Cheryl’s Cosmeceuticals launches VitaLift Anti-Ageing Cream that is perfect for mature skin. The ultra-moisturizing cream provides 8 hours of intense hydration and moisture balance to help reduce the signs of wrinkles contributing to radiance and luminosity of the skin. Under the VitaLift range, Cheryl’s also has a supporting skin firming facial which is equivalent to a non-surgical face lift that substantially reduces fine lines and wrinkles to make your skin visibly look younger and tighter. This 7-step advanced facial improves skin metabolism and stimulating blood circulation, which repairs the skin by boosting collagen synthesis and retains the moisture in the upper layers enabling cell bonding. Pro-retinol works on the core of wrinkles by reducing them. This improves the skin’s texture, lightens it by regenerating and repairing. Hydrolysed rice protein tones, brightens & reduces wrinkles by binding moisture. Ginger root extract is an anti-oxidant that soothes the skin. It evens the skin tone and improves elasticity. Stay confident and naturally reduce wrinkles with the Cheryl’s VitaLift facial and Home Care available at your nearest Cheryl’s salon.